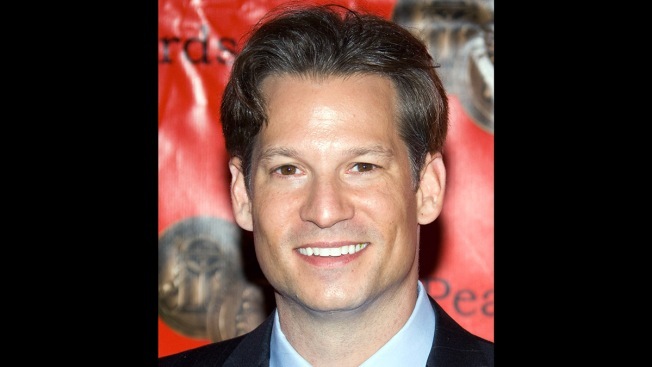 FILE - In this 2009 file photo, Richard Engel attends the Peabody Awards held at the Waldorf Astoria in New York. Foreign correspondent Richard Engel is borrowing Rachel Maddow's MSNBC time slot on Friday nights over the next month for "On Assignment," a series that sets aside cable news chatter for deeply reported stories about world affairs. "I've wanted to do something like this for a long time," Engel said by phone this week from Iraq. He's expanding some of the reporting he routinely does for NBC's "Nightly News" for a longer format in a series loosely modeled on his November 2014 special on Kobani, Syria's fight against ISIS. The idea is for "On Assignment" to be a limited series, in television parlance. He'll do four episodes over a month, then return periodically for more. While Engel is expected to appear live for each show's opening, an episode's centerpiece will be prepared stories by him and other correspondents, tied together by theme. His second episode will focus on Iraq, hence his location for an interview this week. "This is not just a studio show where I sit in a studio in New York or London and get a bunch of experts to pontificate about the subjects of the week," he said. Even as talk of domestic politics dominates airtime on American cable networks, MSNBC President Phil Griffin said he believes there's a hunger among viewers to see what's going on in the rest of the world and how it relates to the United States. "It's exactly the right time to do it," Griffin said. For at least its first run, Engel gets the equivalent of prime real estate in the time slot of Maddow, now often cable news' most popular personality, whose issue-oriented show would appear to be a good match. Engel appears often on Maddow's show and says those experiences are mentioned most frequently when he's recognized by viewers on the street. "When it comes to explaining world events and America's role in them, Richard is better at that than anyone in the business, by far," Maddow said. "Our audience loves him. He's the only guest on my show for whom I regularly get fan mail." The first episode of “On Assignment with Richard Engel" airs live from Hamburg, Germany, at 9 p.m. E.T. Friday on MSNBC. NBCUniversal is the parent company of NBC News, MSNBC and this station.